This handsome home in Hawk's Ridge is fantastic inside and out. Loaded with upgrades, it's better than new! Beautiful ceilings with coffered detail, wainscoting, arched doorways, wood burning stone-faced fireplace, hardwood floors...all in pristine condition. 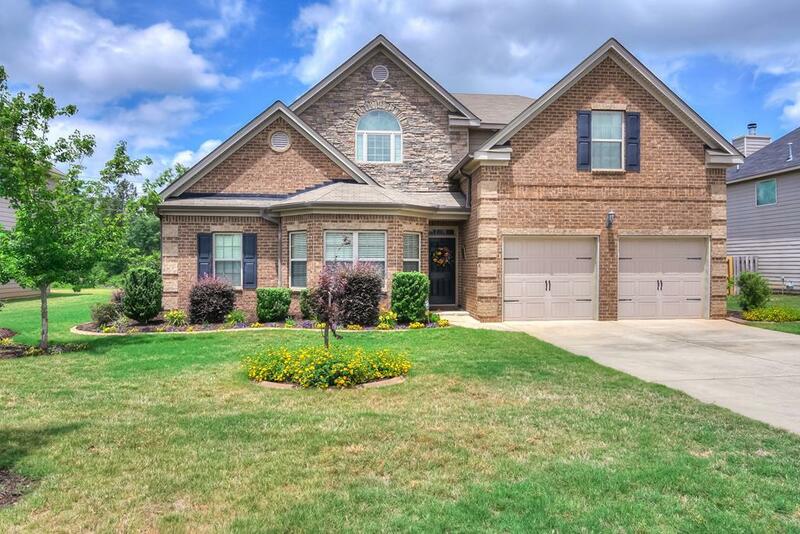 Desirable Gentry floor plan is open and flowing with clearly defined living spaces. The kitchen has granite counters, cherry cabinetry, wine bar and desk area plus a large pantry for storage. Speaking of storage...this home has tons of big closets, most of which have upgraded systems. The master suite on main floor features a huge bath with spacious tiled shower, jetted tub and double sinks. Upstairs has lots of flex spaces for office, art room, media room in addition to the bedrooms. Vaulted ceilings are a key feature - paint colors and finishes are harmonious and consistent throughout. The yard is beautifully landscaped, has a large, privacy fenced backyard and storage building. Lots to love, easy to live your Best Life here! Listing provided courtesy of Best Life Team of Best Life.